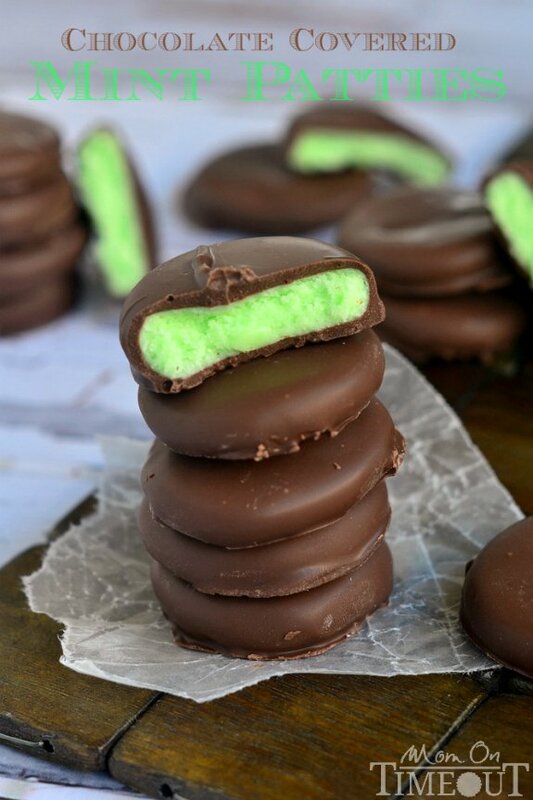 Rich and creamy, these Chocolate Covered Mint Patties are so easy to make and are incredibly scrumptious! This week is a no TV week in our home. I know, I’m totally mean. BUT, sometimes it’s nice to just kind of detach and remind the boys that they have LOTS of toys to play with. Plus, the weather has been beautiful – far too nice to miss while watching TV. Of course, no TV means I need to be on top of my game. I have to be hands on all afternoon – no breaks. It’s harder than it sounds 🙂 Actually, these weeks are my favorites. I’m “forced” into being more active with the boys and getting them involved with my routine. The boys have always loved helping in the kitchen. Some days that’s great…others, not so much. I figured out a meal plan for the week in advance and incorporated some recipes that I knew they could help with. 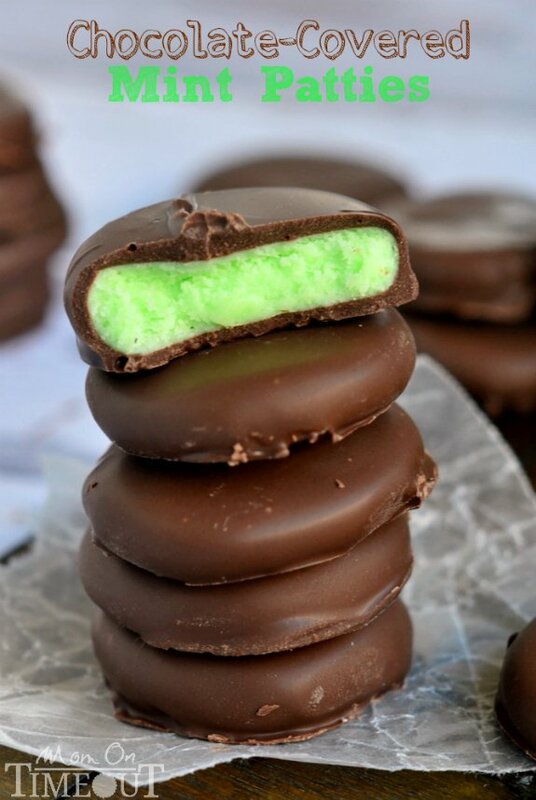 These Chocolate Covered Mint Patties are one of them. 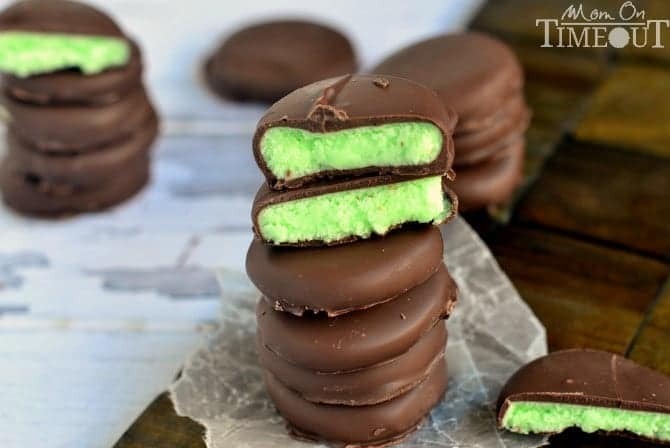 Recipes don’t get any easier than this and if you’ve never dipped candies before, patties are the perfect candy to start with. No balls rolling off of forks here! It’s fun and great for kids. Sure, your patties may not be exactly the same size…but who cares! It’s fun and the rewards are these unbelievable patties! 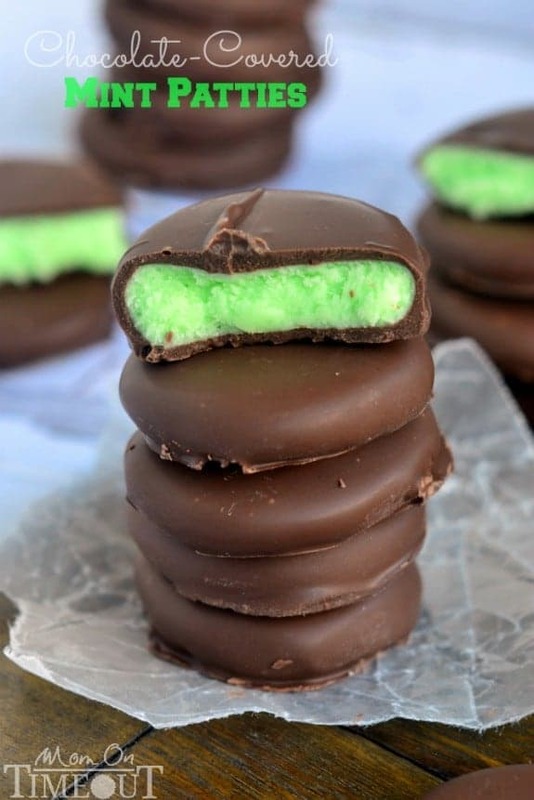 Smooth, refreshing mint centers surround by sweet, decadent chocolate. It just doesn’t get any better. As much as I love peppermint, there is a very special place in my heart for mint. It’s like a breath of fresh air. Two breaths if you’re like me 🙂 This is one recipe I urge you to try. 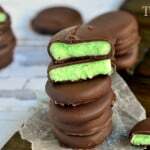 You honestly can’t mess it up and you are just going to go crazy for these fabulous mint patties! Combine corn syrup, butter, extract, salt, and food coloring in a medium size bowl. Stir until well combined. Stir in 1 cup of powdered sugar at a time until mixture is too stiff to stir. Add more powdered sugar and knead mixture until it no longer sticks to your hands, adding more powdered sugar as necessary. Roll into 1-inch balls and place on trays or baking sheets lined with waxed paper. Flatten with a flat-bottomed cup or your hand. Cover with another sheet of waxed paper and refrigerate for 60-90 minutes or until firm. Dip the candies into the melted chocolate with a fork, tap off the extra, and place back on the waxed paper. Repeat until all candies have been coated. Let candies set up until chocolate is firm before storing in an airtight container. Candies can be frozen in single layers separated by waxed paper if desired. I am a big chocolate lover. 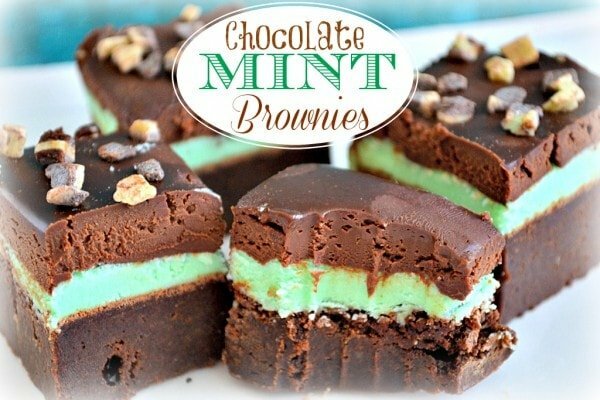 Chocolate and mint combination sounds very interesting. Gonna try it soon, wish me luck! I want to know if I can replace corn syrup with something else? I don’t find corn syrup where I live. I think someone tried honey and got it to work but I haven’t tried that Cristina. I like the half-dipped idea too – makes me think I can eat twice as many then. 🙂 You make this recipe seem easy! LOL! I like how you think Suzanne! And with the richer chocolate, half was plenty. Made these as a Christmas “thank you” for my husband’s bosses and they really enjoyed them! That’s wonderful Laurel! I’m sure they looked so pretty half-dipped as well! 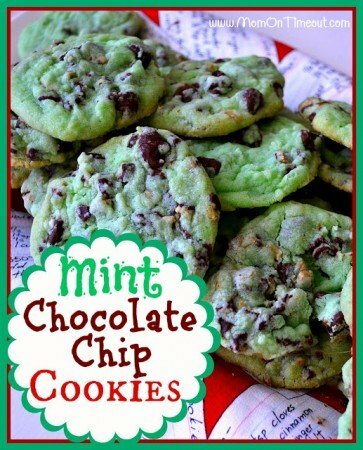 I made these for Christmas this year because they looked so good and everyone I know loves mint(including myself). I think that instead of regular mint extract I would have preferred peppermint extract.Your patties are also incredible thick and I found the texture to be a little unappealing, and enjoyed the thinner ones more. Overall they were pretty good, but maybe I just did something weird because they didn’t turn out quiet as good as I was expecting. These look delicious! 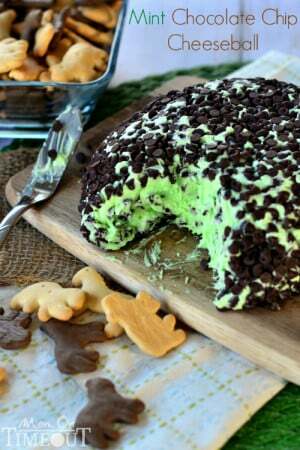 I love mint & chocolate combination! I am so excited for you Lynn! I LOVE making these with cherry extract and was actually going to post that version this holiday season but never got around to it 🙂 Next year! Thanks for all your fabulous feedback! Oh WOW! They look so good! Will have to give this a try!